"Basically everything you need at an affordable price"
I would like it to show more campaign details to my affiliates if needed such as call hours and geo targeting. Perhaps there is a way to do this but I have yet to see it. Its easy to use and does everything I need it to do. It allows me to accurately track and record phone calls. I can’t say enough good things about Retreaver! Initially I was won over by Stan’s quick-witted humor and ability to answer all my questions. They are reasonably priced and have virtually all the features I required. I am extremely happy with the usability of the system as well as the way above average customer service. I love that they are working on a system to find possible synergies between their current clients to further benefit everyone involved. Hmmm, what do I dislike? I dislike having to say I dislike anything about this company or their product. If there is a feature I would like that they do not offer, they get it added. Make sure to ask for Stan Pavlovsky! Retreaver has helped me easily track of all my campaigns. I am able to optimize client's campaigns by pointing out suggestions for optimization early on allowing my clients the best opportunity for success. "Impeccable Customer Service and Reliable Technology"
Retreaver is an incredibly reliable platform with outstanding customer service. Our company is a fast-paced business with rapidly changing needs stemming from our wide-range of new initiatives. Retreaver never has a problem keeping up with these changes and always adjusts to our needs immediately. If the functionality doesn’t exist within the platform, Retreaver will build out and customize their technology to fit our many requests. When we don’t understand a new process, they create step-by-step video tutorials to provide assistance. Jason has vast industry knowledge that exceeds any other vendors in the space, which allows the company to have such a high level of success among all of its clients. I have nothing bad to say about this resource thus far. Any problem we have encountered has been solved within 24 hours, if not sooner! Try it out and you will not be disappointed! Our current business model and PPC structure would not be as clean-cut without Retreaver. Its call-tracking platform, real-time pixel post-backs, and tagging systems allow us to track calls, revenue, and campaigns efficiently and separately. "Incredibly Intuitive and easy to use. , "
While I started using Retreaver to keep track of the leads our marketing efforts are sending to clients, the data tagging and routing capabilities are opening new opportunities for my business. Stan is an incredible and dedicated account manager, and he's made sure I was up and running in days. There are a few real-time features I'd like to see added, such as ability for managers to listen in live to calls, however I get the impression it's just a matter of time before Retreaver adds these too. Our clients and their businesses rely on us to deliver hundreds of calls to them every day, and to make sure those calls are of a high quality. Retreaver handles the volume, tracking and routing better than any call tracking system I've worked with. I don't have too many dislikes at all to be honest...its a very robust system and the customer service is very prompt. We just got into calls and are having huge success with Retreaver. It has become an integral part of our monetization strategy and has opened up a door which we did not know existed. Retreaver is a key aspect of our business and we are just really testing the waters. "Great customer service and lightning fast support response!!!" Great customer service and lightning fast support response!!! The simplicity of the service combined with the great features making this a one stop shop is unmatched! I’ve been searching for years to find a service that is affordable and can integrate with HasOffers and this is it. Our team could not find a call platform that had all the feutures we needed that could combine with Hassoffers until now. "Great call tracking solution, highly recommended"
What I like best about Retreaver is its ease of use in combination with its efficiency and amount of features. While we do not need even half of them at the moment, it is good to know that our call tracking solution will be able to grow with us, as our business grows. Also, this all comes at an affordable price. While support has been really helpful in general, my last support ticket seems to have gotten lost somehow and was never answered. Also, it would be great if I were able to pull German cellphone numbers myself instead of having to contact support in order to do so. Retreaver enables us to track incoming calls to our clients who pay my agency on a PPS basis. Thanks to Retreaver we are able to track down exactly, which assets are generating which amount of revenue for us. This makes it really easy for us to calculate our ROI and to decide, how to distribute our investments across the assets in our portfolio. The Retreaver team is very easy to get a hold of & extremely helpful. They take the time to get to know your business and provide recommendations on how best they can partner to meet your goals. Switching from Invoca was one of the best decisions we made- and the UI is much more straightforward. There's less visual presentation of the data- and no customizable dashboard to view your business's key metrics. There's a humungous different between the cost of Retreaver vs. Invoca. We found we didn't use 75% of the extra bells & whistles at Invoca- and Retreaver provides all the basics like dynamic IVR routing & campaign specific phone numbers. "Great Customer Service and Valued SAAS"
Retreaver's staff is extremely responsive and address any question we have in less time then competitors we’ve used before. The way data is passed around in order to route calls is the best in the business. We needed an effective solution for delivering the specific callers to specific call center agents. Retreaver uses call data in ways we hadn’t seen before, providing our agents with context on phone calls and giving our marketing team insights into which effort were producing real results. For the value we’re getting, we couldn’t find a more cost effective solution. "Fast, Flexible and User Friendly"
Retreaver is a fast, flexible and user friendly call tracking software. Loading times are insanely quick, making it easy to make last-minute fixes to my call campaigns throughout the day. Once you understand how the system is setup, you can customize how you want calls routed and distributed. Additionally, the design is user-friendly and makes it easy for my affiliates and clients to login and use the system, saving me time when it comes to customer service. Additionally, it's easy for me to login on my phone and view the dashboard when I'm on the go. Currently there isn't a billing feature with Retreaver for me to manage my client accounts. Also, tracking affiliate costs in retreaver (cost per call) is not setup on the affiliate level, but rather from the target side, meaning I track my true costs outside of the system. I am using routing affiliate marketing campaigns to clients. Retreaver allows me to track the way my calls are routed and improve profitability. "Retreaver Allows My Business To Thrive"
There are many positive features about Retreaver, however one of our favorite things is the ability to setup a list of buyers and dynamically route calls based on which buyer has the highest payout. There are some little oddities about retreaver, but overall we dont have many complaints. Its the better system in the pack - which is why we chose them. I would highly recommend retreaver if you are looking for a Dynamic IVR Call Routing System.. If you don't know what that is... then you should definitely call them and find out because... well... its awesome! Our Business Model would not be possible with out using a system such as Retreaver. Dynamic IVRs, Call Tagging, Customer Tracking, and Billable Durations are some of retreavers greatest features that unlocks our ability to thrive as a Pay-Per-Call Marketingplace. "best routing system with the best support"
they helped me turn my business to a successful one. you get a nearly perfect software for the pay per call business (i can recommend the inbound part only im not sure if they do outbound) and you get the highest level of customer support as if you are the only customer. "Much more than I expected! " Easy tools to follow for someone that's not so techie. Mobile optimized is great! I can control many things for my clients to view detail stats about their calls. A Representative is always available to help and guide me with my many questions, Rich is always above and beyond. After comparing with other similar companies, I must say Retreaver is by far one of the best for me. PayperCall integration with the tracking platform we're using was very easy (much easier than I expected) Love the fact that is mobile friendly as well, since i'm mobile most of the time. For a stay home mom/running her own agency, Retreaver has come in very handy for me, budget wise and easy tools/terms to follow is a plus! Highly recommend for someone who is starting venturing paypercall. "Best call tracking provider I’ve worked with "
"Best Call Platform, Superior Customer Service"
User interface is very intuitive and user friendly. Runs fast and very smoothly, even when running multiple web apps, browsers and multiple tabs within in each browser, etc. Very rarely do I ever notice any performance issues or lag of any sort. Specifically, love the ability to route calls and set concurrency caps. Ability to accept concurrent calls on any given campaign/offer we onboard. Our previous platform lacked that functionality. Creating multiple numbers is a breeze in Retreaver and a feature my buyers often request. "Retreaver call tracking is great"
Retreaver allows me to easily get to what i need. Their system is simple and easy to use. They also provide a nice API and allow you to set a URL that they will hit upon a conversion which is nice for Goals in Google Analytics. There is nothing I dislike about this company. 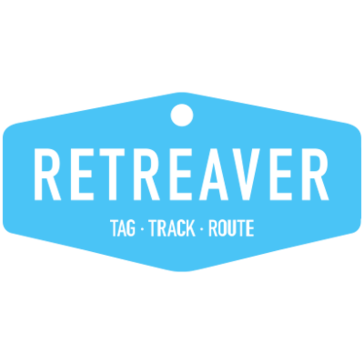 "Good and reliable service, fairly user friendly site"
In our experience, Retreaver has been a very reliable resource for call routing. We had an account with CallPixels before, and we received very good customer service from Rich Nolan. So far we have not needed to request assistance from the new team, so have no feedback on customer service yet. We don't feel that the site is very user friendly. For example, once you run a report, you should be automatically sent back to the Generate Reports page to see when the report is ready. Also, some features do not actually work. For example, when looking at a campaign, you can click Numbers and see the phone numbers for that campaign. AT the top of the page is a filters menu, but when you select a different campaign, the page never refreshes to reflect the new campaign selection. If there is a button to accomplish this, we have not been able to locate it. The same scenario is true whether you start from a specific campaign or if you just click Numbers on the left hand menu. Even if I select a campaign and then click Numbers, it takes me to a list of numbers for only the previously viewed campaign, not the one I just selected. Some of the navigation options have at times been confusing, and the literature, though extensive, does not always cover the details we are looking for. We still use and appreciate the service in light of these things. We reroute calls for our marketing campaigns through Retreaver. We have had little to no complaints from our own clients, and we have been able to effectively accomplish our goals using the services provided. I'm very satisfied with Retreaver services. It fulfills all my needs. The best tracker for calls. I wanted to find exactly the same services and Retreaver is what I wanted. Maybe you can work on the interface to fit the screen on any device. I have the best tracker with support of Retreaver. "Hands Down The Best Call Platform"
The call routing features are far superior to other platforms out there. Also having access to many countries is vital. I wish you could sort the call logs by the caller ID. The call routing features are superior to anything else you will find. It's a long list. Call routing, tracking, recording, etc. Enhanced organization. "I choose Retreaver for my call routing and pay per call offer hosting needs"
Great interface with powerful features! "The best call platform out there "
I love the entire user interface. It's very easy to see my reports on desktop and mobile. Also, calls report in real time. I'm not a fan of always having to refresh to see the stats updated. It's easier to see where 'no answer' calls are starting. It saves me a lot of money. "Very happy with the support please dont get away from that"
They functionality in terms or running high volume ppc campaigns is incredible. Management of high volume centers with CC even per hour and many more! Easy to use and best platform for call tracking. Prices are little higher for per min, probably they use some third party at the backend like Twilio and thats why they cant do much about it. Each to manage calls by targets, number and Campaigns. Support is very technical and talks "too tech savy" for us at times. * We monitor all Retreaver reviews to prevent fraudulent reviews and keep review quality high. We do not post reviews by company employees or direct competitors. Validated reviews require the user to submit a screenshot of the product containing their user ID, in order to verify a user is an actual user of the product. Hi there! Are you looking to implement a solution like Retreaver?